P-18, one of the mountain Lions the National Park Service and biologists at the Santa Monica Mountains National Recreation Area have been following via a GPS transmitter was hit by a car and killed trying to cross the 405 on Tuesday. 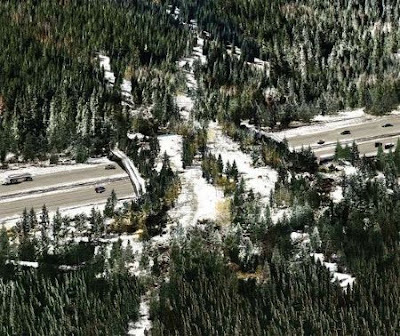 Maybe this incident will finally get Caltrans and the State to put in for the funds and construct the much needed wildlife corridors along the 101, 118, and 405 freeways. 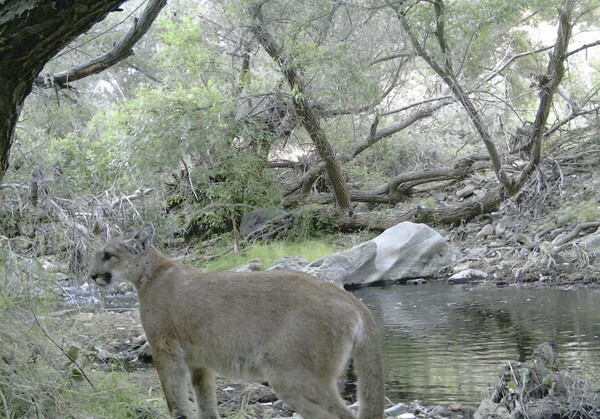 P-18 was also the offspring of the only mountain lion the Park Service knew of that actually crossed a freeway, the 118, thus bringing in new genetic material to the Santa Monica Mountains cougar population. One potential area for a corridor would be on the 101 under the Liberty Canyon bridge in Agoura. LA Times has the story here.